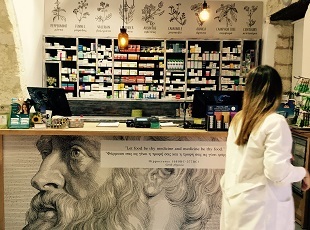 Is this a ... Pharmacy ? 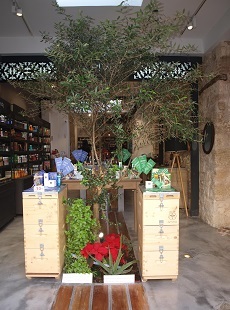 Inside the Old Town, nearby the Santrivani Place, you can find the Old Port Pharmacy - more than just a pharmacy, because it offers a large selection of the best health, care, wellness & beauty products for body, face and hair, various natural products - not only for women, also for men & kids, as well as special seasonal products. 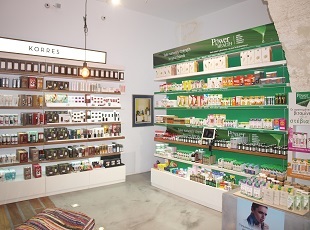 Old Port Pharmacy distributes all exclusive products by APIVITA, Power Health, KORRES, FrezyDerm. 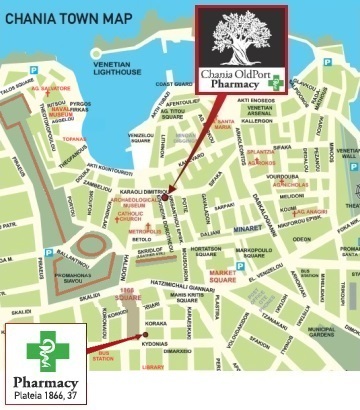 Open all year Monday to Saturday from 9:00 a.m to 9:00 p.m. and during summer season from 9:00 a.m to 11:00 p.m.
Chania Old Port Pharmacy is a pharmacy not only for visitors but for everyone of us as well. 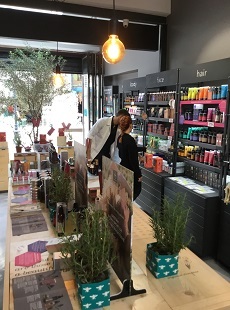 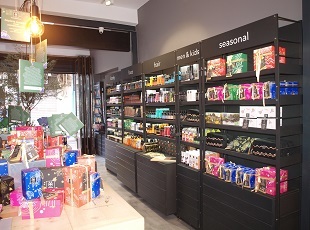 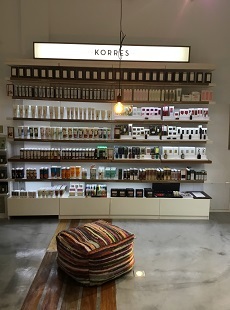 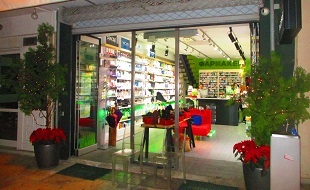 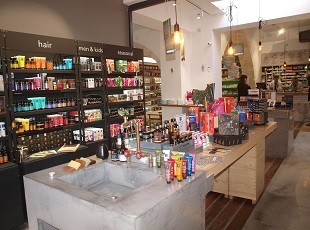 It’s a pharmacy with European standards adapted to the needs of the local town with flexibility, reversing the stable environment of a pharmacy on a touristic area and promoting the greek brands. 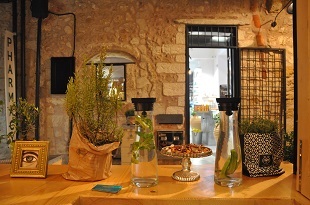 Situated on a building with special architectural features at the old harbour, at the corner of Karaoli and Eisodion street, close to the fountain square (Santrivani), is allowing the visitor to enter from 4 different entries. 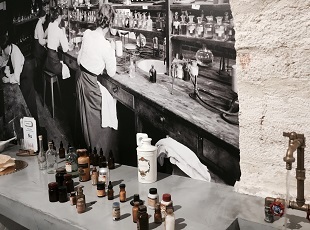 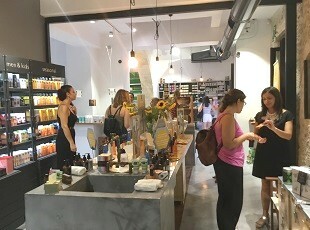 In the internal part of its building, old port pharmacy is hosting small shops (store in store) of the greek brands APIVITA, KORRES, FREZYDERΜ, POWER HEALTH, a pharmaceutical laboratory and a counter that is a replica of the counter of the old greek pharmacies, possessing though all the modern pharmaceutical products that are handed by 3 pharmacists who are willing to provide their knowledge and expertise along with their service. 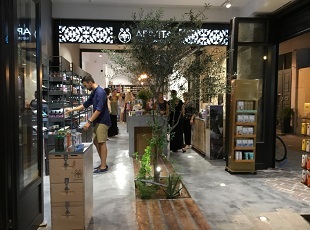 Designed by the group of architects Insite Architects Lab of Chania with natural materials (stone, wood, cement mortar), the building is in total harmony with the character of of the Venecian Port, and and stands out for its aesthetics and functionality. 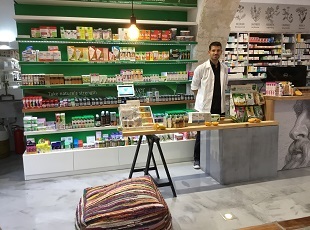 The pharmacy began functioning in July 2017, transporting on daily basis the message of the greek well being and of a holistic way of life. 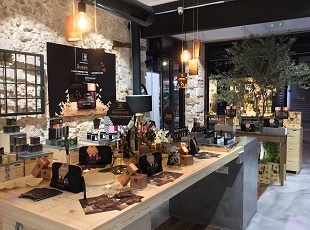 COME AND TRY THE NEW APIVITA SPA EXPERIENCE! 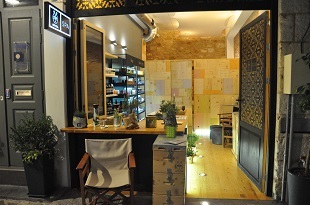 ... At the opposite of our pharmacy you find our Old Port APIVITA SPA. 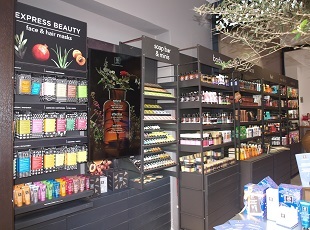 Take a deep breath, close your eyes, relax ... and let APIVITA fill your senses with the harmony and beauty of the greek flora.